Elemental Recycled Products are innovating and making huge industry moves in sustainable recycled toilet paper. With a commitment to education and giving back they are making a difference not just for the Earth, but for our future. Read on to learn more and win big! Disclosure: I am partnering with Elemental Recycled Products. All opinions are my own. I first found out about Elemental Recycled Products via an email. As a biologist I was naturally excited about the products offered and was eager to learn more. 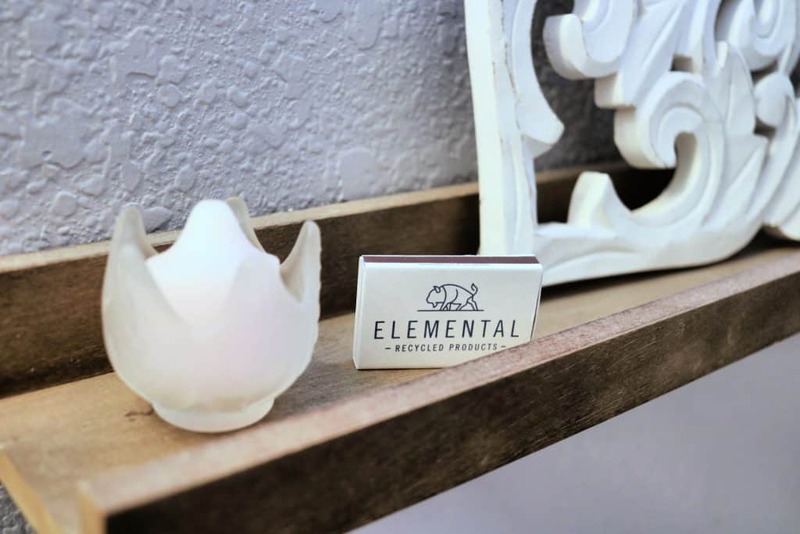 Elemental Recycled Products launched just this year in June of 2018 and has a goal to promote recycling and the use of recycled materials. The company focuses on sustainable living with convenience and quality in mind. I was sold and eager to try out the products! 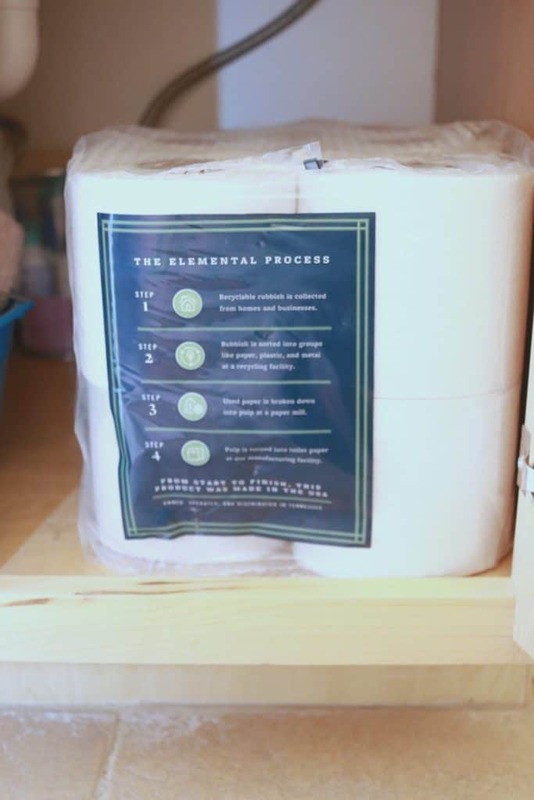 After checking out Elemental Recycled Products website I learned that creating toilet paper from recycled materials uses 64% less energy, creates 74% less pollution and uses 50% less water. With only 3% of the world’s water reserves being freshwater, this is so important to understand the impact that the products are having (or actually not having) on the environment. It is so important that we as consumers begin to look products from a sustainability perspective and start sourcing our household goods from companies like Elemental Recycled products. When I mentioned to my husband that I was going to be working with a company on recycled toilet paper he completely gave me the side eye. He thought that we were just reusing toilet paper, but I explained to him that although Elemental Recycled Products Toilet Paper is made from 100% recycled material (80% post consumer recycled material), that it was indeed fresh and clean and unused. 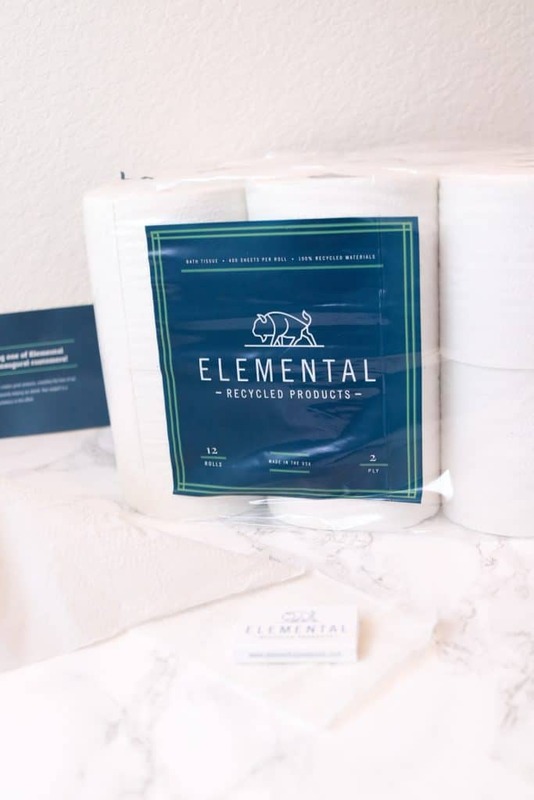 Elemental’s recycled toilet paper is not made from other toilet paper, it is made from household recyclable materials like old newspapers, which are then made into a pulp and then made into toilet paper. They have worked to make their toilet paper the softest and most comfortable sustainable toilet paper on the market and the reviews on their website show just that. People are RAVING about it. 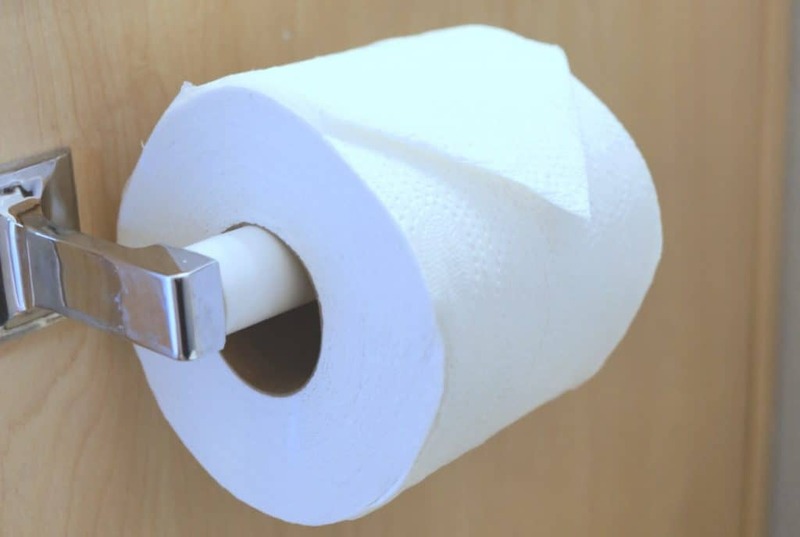 We found that the toilet paper lasts longer than a typical roll and that it gets the job done. I love that it actually costs less, last longer and is made with the environment in mind including no added dyes, inks or scents. It works great for homes with old plumbing or RV’s because it decomposes so quickly and is septic safe! You can order the toilet paper in bulk and the company has incredible customer service and the company is even offering plastic-free packaging options at no additional cost! I spend 9 weeks of each school year talking to my high school students about the environment, how we are impacting it, how they can reduce their carbon footprint and live more sustainable lives and I do all of this in hopes that I will make a small impact in this big world. Elemental Recycled Products is committed to giving back and wants to partner with teachers to do so. Unlike most companies, they have worked with the national science standards to create a viable curriculum that teachers can integrate into their classrooms FOR FREE! Yes, FREE! I looked over their 9-12 grade materials and was very impressed with the attention to detail, the scripting, the resources and how they offered all of this with no strings attached. In addition, they also donate 50% of their profits to educate children about the benefits of recycling and preserving land (because we destroy ecosystems to make the competitors toilet paper). Elemental Recycled Products wants everyone to try their products. They know that once you try them, once you realize that you are not just helping the environment but you are helping our future and once you save money on a product you need regardless, you are going to be sold…but you have to try it first! Rightnow you can get $7.00 off your FIRST purchase with the code “FUNK2018”. This offer is valid for new customers only. Oh yeah, I mentioned winning! 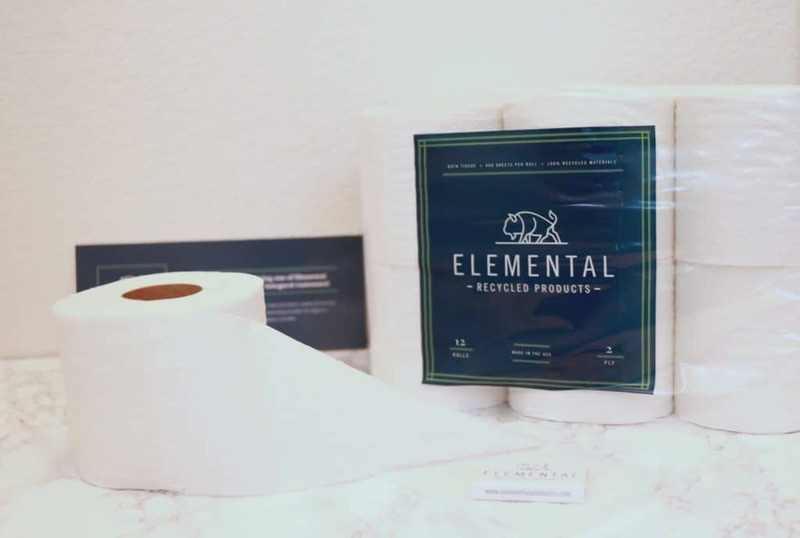 Elemental Recycled Products has graciously offered a prize pack of a 24 pack of their recycled toilet paper to one of my lucky readers. All you need to do is enter the rafflecopter below! What are you waiting for, get those entries in and help make this world a more sustainable happy place! Want to learn more about Elemental Recycled Products? Get Social! Previous Post: « OMG! The Wizard of Oz is Coming to Colorado Ballet! I’m always interested in recycled products to teach my family a better way of living. Neat product! It is super neat! We have really enjoyed it and are super excited to use it in our new camper too!